​Arsenal playmaker Mesut Ozil has been linked with a possible January move to ambitious Serie A side Inter, after his total omission from the Gunners' squad for Wednesday night's Carabao Cup quarter final exit against Tottenham brought about fresh speculation about his future. Ozil at last signed a new long-term Arsenal contract 11 months ago to make him the club's highest paid player on reported wages of £350,000-per-week. But the German appears to be out of favour with manager Unai Emery, who prefers a high energy style from his players. ​Ozil then played just 20 minutes off the bench as a substitute in the recent 3-2 loss against Southampton and was out of the squad altogether for the match against Tottenham. 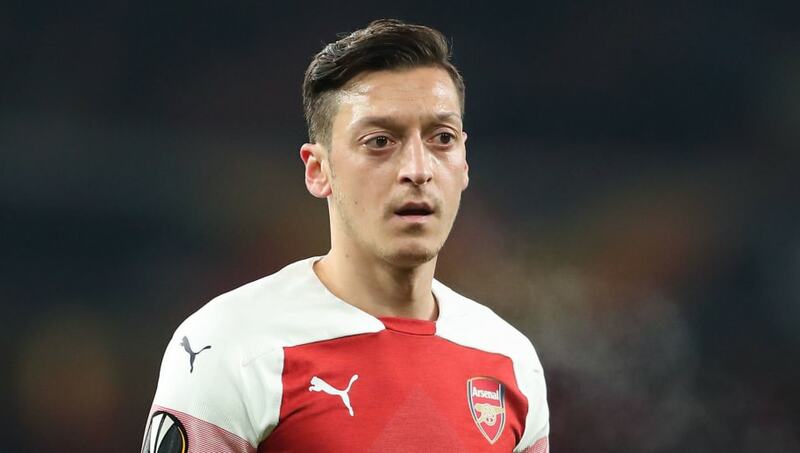 A report from the Daily Mail notes that Inter are among several clubs 'still interested' in Ozil, with the newspaper describing Emery's decision to drop the German for tactical reasons as the 'biggest hint yet' that he is willing to cut Ozil loose. In a big derby game against Spurs that could have seen Arsenal move a step closer to winning major silverware, Emery felt his highest paid player wasn't necessary, yet the line-up did include Aaron Ramsey, a player who refused to sign a new contract and will be leaving in summer. Emery dodged questions about Ozil's Arsenal future after the game. Unai Emery given plenty of opportunities to say he wants Mesut Ozil to stay at Arsenal. He didn't. "My focus now is analysing this match and also Saturday against Burnley is very important. We are going to assess every player, how they are tomorrow in training and for a difficult match against Burnley on Saturday," he said, via ​Arsenal.com, when asked if Ozil could soon leave. "I am thinking about the match on Saturday, and not thinking about another situation."